Nourishing 10-minute face mask for dry skin that softens, comforts, and renews radiance. The 10-minute beauty reset for skin that is rough, dull, flaky and dry—this nourishing face mask is enriched with soothing Wild Mango Butter to soften, comfort and renew radiance. 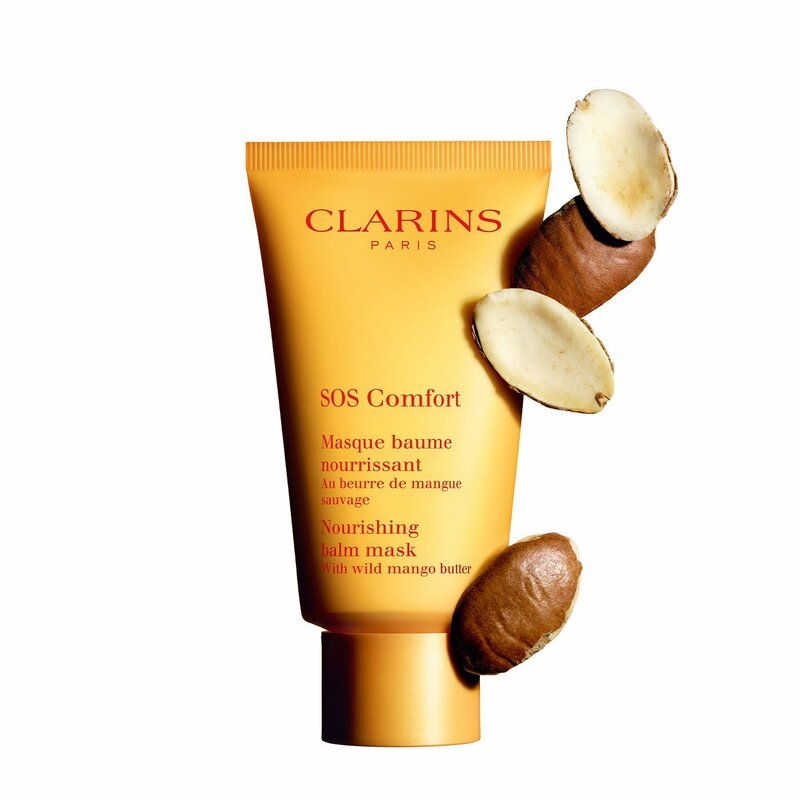 Mango oil helps protect skin against dehydration and restore suppleness. Creamy formula delivers moments of pure relaxation for skin and senses. *Satisfaction test on 98 women - 10 minutes after application. Rated 5 out of 5 by AH2156 from Amazing Product I received this as free sample. It is truly luscious! I gently wiped it off with the toning lotion as recommended and my skin glowed!! My skin looks better than after a professional facial. Nice to have a product work exactly as advertised. Rated 4 out of 5 by CHill from great product -- needs re-design of packaging I concur with some of the other reviewers here -- great product, but white print on a yellow tube is absolutely unreadable. I received as a sample after another purchase, and had to pull up the website to figure out what it was. And I have great eyesight. Rated 5 out of 5 by LuHa from Smooth and nourishing...but.. I love this masque and it truly produces excellent results. But you cannot read the instructions. With would Clarins use a tiny white font on a yellow background? Try a light grey or green or brown, please! Rated 5 out of 5 by LizaMarie from Can’t say enough good things This is by far the best mask I’ve used in a long time. Having rosasea and sensitive skin that’s prone to breakouts makes it difficult to find products that won’t exacerbate my conditions. After using it my skin feels soft and refreshed. I recommend it 100%. Rated 5 out of 5 by Chelsea117 from Best mask It's my first review for skincare and makeup products. This mask is so great that I have to recommend to everyone. I tried sample. The best mask I used so far (and I've used a lot of really expensive masks). Skin feels really soft and bright. Rated 5 out of 5 by Happy Bessie from Wonderful beauty treatment! I have normal/combination skin. I endure cold Michigan weather, I love being outdoors in the snow. I started using this SOS mask 6 weeks ago, 3-times per week. This mask has made my face/neck appearance become less lined as well as less dry. It will not cause any breakout's, if it had I would simply combine another SOS on potential breakout areas. I do enjoy this product, you may just be as happy as I am. Thanks Clarinsusa!.